FVL work commences, but will the programme buck the trend? Being adventurous is not necessarily a healthy trait when it comes to defence procurement. History is littered with projects that were hugely audacious in scope, and aimed to take the most advanced technologies on offer to develop a common solution that could be applied to a range of different missions, but then got bogged down in complexity and mushrooming costs. For the US, the poster child of this trend in recent years was the US Army’s Future Combat Systems (FCS) – a project envisioned to create brigades equipped with new manned and unmanned vehicles linked by a fast and flexible battlefield network. Despite the use of a spiral model for FCS development and upgrades, the project was cancelled after almost $20 billion had been spent, with many of the technologies leading precisely nowhere. 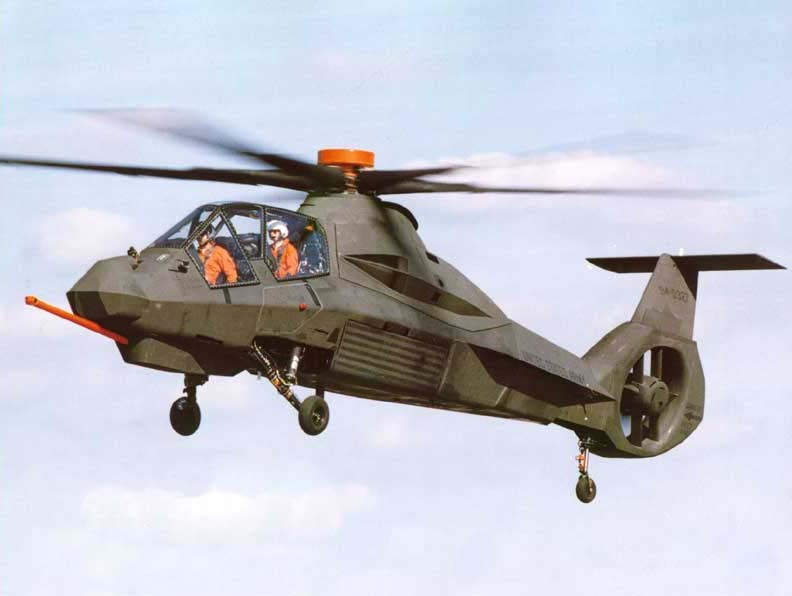 On the rotorcraft front, those with a very long memory may still wonder what might have come from a successful entry to service of the Lockheed AH-56 Cheyenne while, more recently, the Boeing-Sikorsky RAH-66 Comanche was also cancelled to channel funding back into the more immediate needs of current operations. The failure of the latter (left) cast a long shadow, with subsequent Armed Reconnaissance Helicopter (ARH) and Armed Aerial Scout (AAS) programmes both failing to come to fruition before the army decided to do away with a dedicated scout helicopter altogether. This less than stellar history, not to mention the birth pains required to get the likes of the V-22 and F-35 into service, will be at the forefront of the minds of all those involved in the current Future Vertical Lift (FVL) effort. Despite being a bold, wide-ranging and joint programme that aims to replace a myriad of helicopters with a common platform, there are some early hopeful indications that FVL may avoid the same pitfalls. In this current issue of Defence Helicopter magazine, I look at how the army, as the lead service for FVL, is approaching the mission systems aspect and how project officials are doing meaningful work, despite the fact that the aircraft in question will not enter service until at least the mid-2030s. This is achieved by ‘functionally decomposing’ components from their supporting hardware and software infrastructure. According to Daniel Bailey, FVL programme director at the army’s Aviation and Missile Research, Development and Engineering Center, speaking at a panel in November, the team had already learned some critical lessons in relation to future mission systems. ‘We learned that fibre is probably the way of the future; we learned that wireless data buses are the way of the future; we learned that multi-core and distributed processing is the way of the future; that multiple-layer security requirements are the way of the future. So how does all of that affect the architecture, the standards and the tools? On the face of it, this is promising stuff and an indication that the military is finally discovering how to factor the rapid pace of technology into its glacier-like acquisition process. 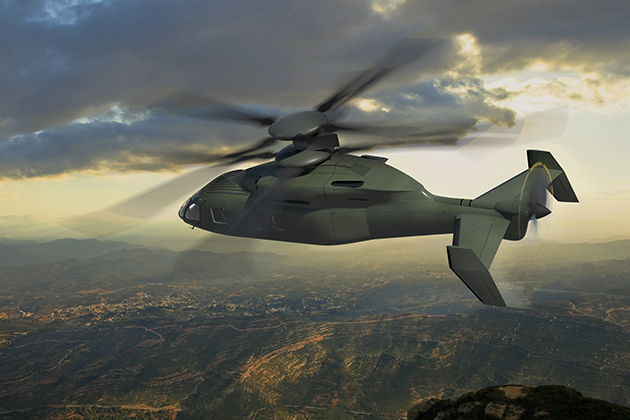 On the aircraft front, development is centred on the Joint Multi-role Technology Demonstrator that sees Bell’s V-280 tiltrotor facing off against the Sikorsky-Boeing SB>1 coaxial compound. While flight demonstrations are planned for 2017, Bailey’s team has been careful to state that these are not FVL prototypes and are simply helping to develop the new configurations required to meet the programme’s speed and range requirements. By splitting the overall effort into various components and bringing industry on board early to tap its expertise, it is hoped FVL can avoid the mistakes of programmes like the F-35. While a lot of this makes sense, I still have my doubts that a single programme will be capable of meeting the needs of all the services, across such an assortment of missions and requirements. If we take FVL’s initial focus – the replacement of the army’s Apache and Black Hawk – as only one example, the competing needs of each mission set almost dictate two different configurations. One can easily imagine the SB>1 being applied to the attack mission while the V-280 takes over the role of the Black Hawk. The only issue then becomes the former keeping up with the latter – something that was seen in Afghanistan where Apaches struggled to maintain pace with the faster Chinooks. 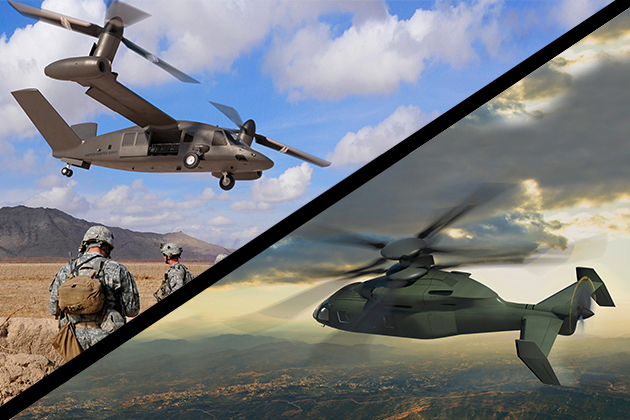 It now seems that the army is starting to come to the same conclusion, with comments at the recent Association of the United States Army aviation symposium suggesting the medium lift category will indeed be split into two aircraft to address the different mission sets. There is a long way to go in all this, but the best way forward might be to mandate for a high level of commonality while letting the best platform carry out each mission.